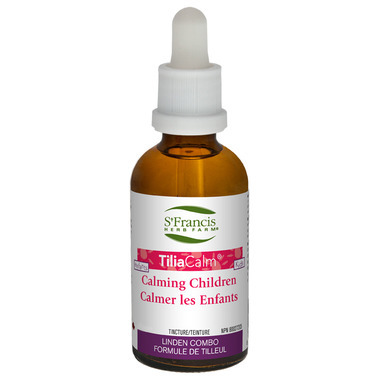 TiliaCalm is used to help relieve mild digestive disturbances such as dyspepsia, flatulence, bloating, and belching. Used in Herbal Medicine as a calming and/or sleep aid. Suggested Usage: All doses should be taken 3x daily in a little water on an empty stomach. Cautions and Warnings: Consult a health care practitioner before use if you are breastfeeding. Consult a health care practitioner if sleeplessness persists continuously for more than 3 weeks (chronic insomnia). Consumption with alcohol, other medications or health products with sedative properties is not recommended. Consult a health care practitioner if symptoms worsen or persist. Contraindications: Do not use if you are pregnant or if you are allergic to plants of the Asteraceae/Compositae/Daisy family. Known Adverse Reactions: Hypersensitivity/allergy has been known to occur, in which case discontinue use. Some people may experience drowsiness. Exercise caution if operating heavy machinery, driving a motor vehicle or involved in activities requiring mental alertness.